The rhetorical situation, as discussed by Bitzer, Vatz, and Biesecker, would define Snapchat as a site of rhetorical discourse/communication by its connections among exigence, author, audience, and text/message. Snapchat’s purpose is to provide connected users the ability to utilize an ephemeral form of communication. Although, it is presented as a dynamic network, the rhetorical situation as network reveals that Snapchat functions as a closed system that cannot exist without its users and their connections. The rhetorical situation as network would operate/form differently by each theorist. Via Bitzer, the rhetorical situation network would include the exigence, rhetor, and the audience as nodes within the network, with the exigence being the primary node. According to Vatz, the network would have the same nodes: exigence, rhetor, and the audience. However, the primary node via Vatz would be the author due to Vatz’s argument that the rhetor decides what is relevant and then communicates it to the audience. In both instances, text/message travels through the network, and the audience is a given part of the situation. 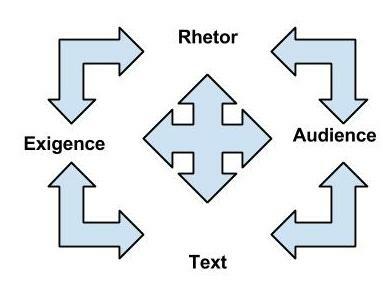 Biesecker’s presents the rhetorical situation network that includes the exigence, rhetor, audience, and text. The text and audience are constituents in the rhetorical situation, meaning they are a nodes within the network and have impact on the network, itself. Biesecker moves past the discussion as to whether the situation or the rhetor serve as the origin of rhetorical discourse, meaning there isn’t a primary node. Through the lens of the rhetorical situation, the Snapchat users are the (nodes). Each user (rhetor) has the ability to capture a situation or moment (exigence) as a snap (text) and send it to other users (audience). On one hand, the primary node of the rhetorical discourse in Snapchat could be a specific situation/moment that the author experiences. On the other hand, the author could take a picture and make it meaningful by capturing the moment and/or adding text and drawings. Furthermore, each user has the potential to act as the primary node, creating and sending snaps. Snapchat does not afford the users the complex interactions presented via Biesecker’s take on the rhetorical situation. From this perspective, the level of agency in Snapchat is complex. For example, the author decides what moment to capture, what text or drawing to include, and what the time-limit will be. This can be interpreted two ways: 1) agency being situated with author for making said event salient and 2) agency being situated within the event for serving as the catalyst of rhetorical discourse. This falls along the lines of the rhetorical network presented via Bitzer and Vatz. However, via Biesecker’s take on the rhetorical situation, agency is situated with the recipient of the snap. Upon receiving the snap, the recipient can view only, respond, or take a screenshot. No matter the chosen response, the recipients level of agency becomes higher than the author. In choosing not to respond, the recipient ends the communications, breaking the discourse. If the recipient chooses to respond, the recipient becomes the author and the original author a recipient. However, the recipient has the ability to take a screenshot, subverting the purpose of Snapchat and, depending on the content of the snap, negatively impacting the author. Although both author and audience have agency, it is higher with the audience, who has more impact on networks continuation (response), dissolve (not responding), or growth (via screenshot). In the rhetorical situation network laid out by Bitzer and Vatz, the nodes are not situated differently. There is a linear progression from the origin of the discourse to the audience. The directions of the relationships among the nodes is one-way with each node impacting the subsequent node. However, for Biesecker, the nodes are not situated in a linear pattern. The nodes exists in relation to one another, bearing the traces of one another; thus, there is no origin. The network “produces and reproduces the identities of subjects and constructs and reconstructs linkages between them” (126). The nodes relate to and impact one another. Along the same lines as Bitzer and Vatz, users are not situated differently within Snapchat. All users have the ability to send and receive snaps, with an author communicating to an audience. However, some users can have more connectivity than others. For example, a user can have a closed system in which he/she only receives snaps from friends (already established and accepted connections). 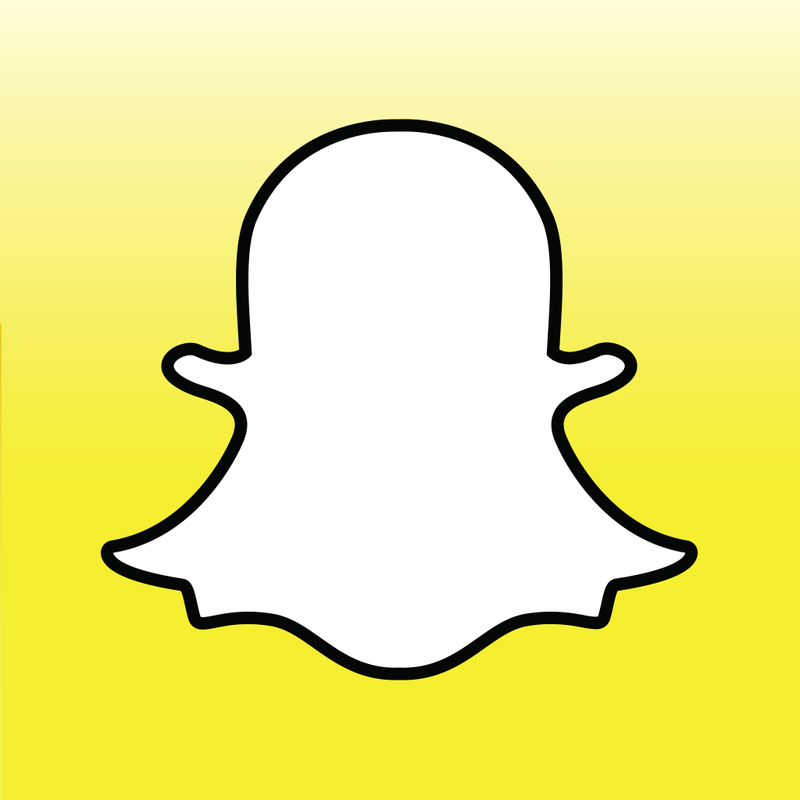 A user can also choose to have an open system in which he/she can receives snaps from anyone who uses Snapchat. Furthermore, the author has the ability to send the snap to as many people as the network and his/her connections allow. This affords new rhetorical situations to be created if and when receivers decide to respond. Though not as complex and interactive as the network Biesecker imagines, snaps can be sent in various directions to various users. Meaning within the rhetorical situation differs for each theorist. However, meaning travels through the networks in a similar fashion for Bitzer and Vatz. Bitzer argues that meaning is intrinsic to the event and calls the rhetorical discourse into existence (compels the author to respond). This refers back to the primary node being the exigence. Vatz argues that meaning lies in the creative act of the rhetor, which refers back to the primary node being the rhetor. Since Bitzer and Vatz place little to no agency with the audience, as the meaning travels, it holds whatever meaning via the exigence and rhetor, respectively. However, Biesecker avoids the binary created by Bitzer and Vatz, arguing instead that meaning is found the “non-originary ‘origin’ called différance” (120). The content travels through the network and is continually impacted. For example, meanings relay to other meanings which have been impacted by earlier meanings and then modified by later meanings. This process continues because language continues. Biesecker argues, “neither the text’s immediate rhetorical situation nor its author can be taken as simple origin or generative agent since both are underwritten by a séries of historically produced displacements” (121). Because there isn’t a primary node, meaning is found in the process of the rhetorical network. Therefore, the content of the rhetorical situation is “on a trajectory of becoming rather than Being” (127). From this perspective, meaning in Snapchat can be said to derive from the exigence or the rhetor. In regards to what happens as meaning travels, Snapchat is different in that the content “self-destructs” after it travels from the author to the recipient. The author and the audience do not have to share the same meaning/understanding. Once the snap is sent, meaning can be misinterpreted by the recipient and changed via the response that the recipient generates. Also, the recipient has a limited amount of time (10 seconds maximum) to interpret and internalize the message before it disappears; the content Snapchat network goes from existence to non-existence as it travels. Although the origin of the networks presented by Vatz and Bitzer differ, after the point of origin, the idea is that the message is communicated to an audience that can be influenced. Once the network forms, it can “mature or decay or mature and persist” (12). In this instance, though mostly ignored by both theorists, the audience would have a high level of agency. They could respond to the exigence or not. Biesecker complicates this by presenting the rhetorical situation as a process in which all the nodes are created and interact simultaneously. The network “produces and reproduces the identities of subjects and constructs and reconstructs linkages between them” (126). As Biesecker’s network is not caught in the binary of exigence and rhetor, the network “makes possible the production of identities and social relations” (126). Therefore, the network emerges and grows, interacting and shifting. The dynamic network presented in Biesecker’s network is not possible via Snapchat. The network has the ability to grow based on the number of connections users make with one another. The possibilities of making connections can be expanded if one has an open Snapchat profile. However, the network can dissolve easily. The Snapchat network only thrives when snaps are sent. If snaps are not sent and users do not interact with one another, the network does not function. The connection remains intact, but it will not be a live network. Comparing Snapchat to the rhetorical situation was more complicated than expected. At first, I envisioned Snapchat as a social networking platform, which allowed users to make and maintain connections. This made the network seem more complex than it actually was. Simplifying my approach and examining Snapchat as a messaging application or tool made it much easier to envision all parts of the network. Thinking about Snapchat in terms of the rhetorical situation helped me to realize that Snapchat is not much of a network at all. Although it is discussed as being a dynamic social network, it is not. Snapchat is a closed system, which is more direct and linear (i.e. Bitzer and Vatz). It lacks the dynamic, interactive nature of the network as laid out by Biesecker. The rhetorical situation allowed a closer examination of what counts as a node, the relationship between the nodes, and what the Snapchat does as a network. I left out a discussion of constraints, as they only played a significant role in Bitzer’s article, and I did not feel they factored into the development of the network. In retrospect, the rhetorical situation does not afford an extensive discussion of the ephemeral nature of Snapchat. The idea that the snaps disappear is a big part of the applications popularity. Foucault’s discussions of discourse may have been more applicable. Moving forward, I am interested in exploring the ephemeral and tactile nature of Snapchat. Biesecker, Barbara A. “Rethinking the Rhetorical Situation from with the Thematic of ‘Differance’.” Philosophy & Rhetoric 22.2 (1989): 110-130. Print. Bitzer, Lloyd F. “The Rhetorical Situation” Philosophy & Rhetoric. Special ed. Selections from Volume 1. 25.1 (1992): 1-14. Print. Vatz, Richard E. “The Myth of the Rhetorical Situation.” Philosophy & Rhetoric. 6.3 (1973): 154-161. Print. This analysis of Snapchat through the lens of rhetorical situation fascinates me. I’m especially interested and engaged by Snapchat’s focus on “communication” as ephemeral rather than documentary. Your analysis appears to be spot-on in recognizing the agency of the Snapchat sender in this system, as the Snapchat recipient can do little but take in the shared content, then watch it literally disappear. I can’t help but wonder if this high level of agency might contain within it the seeds of hegemonic control or manipulation: I’m thinking specifically of cyber-bullying potential that Snapchat offers. I guess the follower always has the option to stop following, but in a social system, does being connected hold intrinsic social value, especially to particular people (e.g. “the cool kids”) in a social hierarchy? And might the bullying not actually have to include its victim among followers? Revealing Snapchat as a site of discourse makes sense, and it’s a really engaging, almost Foucaultian definition of discourse—one that exists only at the moment of creation, then dissipates. Foucault invokes the archive, though, which is a significant difference that leads back to the agency of the “speaker” through the system, a speaker able to deny the existence of the discourse within seconds. In a sense, there’s a deeper level of trust at work in Snapchat than in other social networks: since there is no documented, forensic evidence of discourse shared, senders rely on receivers’ memories to retain some trace of its existence. In this sense, Snapchat translates the ephemeral, uncontrived character of unrecorded oratory to the visual and digital. I got a little lost with this sentence: “If a person on Snapchat sends the same ‘snap’ to two friends, he/she is acts as both the sender and receiver simultaneously.” I’m not sure how sending a snap to two friends causes the discourse to “rebound” back to the sender, making the sender a receiver. I lose track of the flow of discourse through the social network in this example. I would love to see ways Biesecker’s representation of rhetoric via Derridean différance might apply to Snapchat. I sense Biesecker would agree with Snapchat’s founders that “there is value in the ephemeral.” Snapchat is a site of discourse, but I wonder if its existence might itself invoke that discourse. Might Bitzer consider Snapchat itself the rhetorical situation, the response to which is sharing? And might Biesecker counter that Snapchat’s existence as discursive space itself engenders discourse? If Snapchat didn’t exist, would the same kind of sharing happen? Snapchat mediates the discourse; as you concluded, it would be very interesting to explore ways in which Snapchat’s mediation affects meaning and the actions of sending and receiving. Thanks for the embedded videos. They contributed quite a bit to my understanding of the connection between Snapchat the platform, Snapchat the company, and Snapchat the philosophy. They are clearly related to one another, and I appreciate that you used visual elements to demonstrate that connection. This is an interesting application of the rhetorical situation to Snapchat. I have to admit, I’ve never actually used Snapchat myself, but my former roommates were huge fans of it. I like that you pulled direct quotes from Bitzer and Vatz to support your analysis of Snapchat as a “network of rhetorical discourse”–it definitely helped me understand why you were drawing certain conclusions about, especially, the role of the author in creating meaning. I do have a few questions: in the section where you connect Snapchat to the rhetorical situation, you focus primarily on Bitzer’s take on the rhetorical situation and claim that “Snapchat’s position in the rhetorical situation is complicated” by Vatz’s and Biesecker’s theories. I would have liked more there–how and why? When you discuss each person as a node in the network where an event serves as the exigence (the reason for the Snapchat), I started to wonder if each Snapchat then becomes the exigence for another rhetorical situation. If the author of a Snapchat can send the Snapchat to more than one person–does that split the discourse and create new rhetorical situations in which the receivers become the authors? I’m also curious about agency, authorship, and audience when it comes to Snapchat in two ways: 1) if all of the meaning lies with the author’s interpretation, then where does the audience’s interpretation come into play? Does audience mis-interpretation matter? 2) Do you think that the affordances and constraints of Snapchat both enhance and limit agency? For instance, does the author have more ability to limit his/her audience because of the design? Does the option to screenshot the Snapchat subvert that control and offer more agency to the audience?